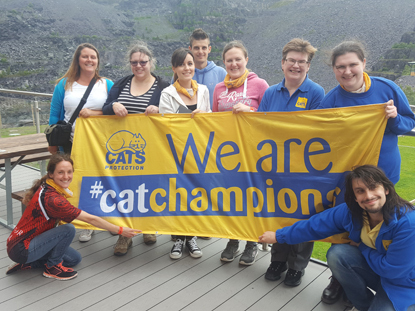 In June 2018, 21 brave cat lovers took to the hills of Snowdonia National Park to complete an exhilarating 100mph zipwire challenge over a large blue quarry lake to help raise over £4,000 for cats and kittens. 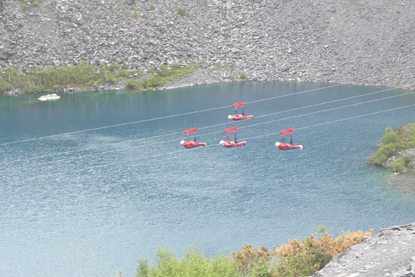 Zipworld Velocity is the fastest zipwire in Europe and allows for four people to tandem zip together, it really is a spectacle to behold as people fly past you! 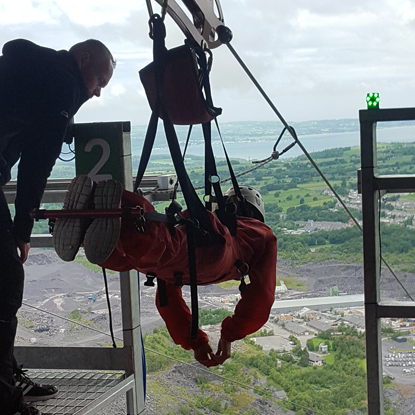 For those who are not natural adrenaline junkies there is a ‘practise run’ on a little zipper that you can do before being transported by the mountain trucks to the highest peak to be strapped in for the big zipper. If you would like to experience the thrilling zipwire for yourself or take on another adrenaline-fuelled challenge for Cats Protection, you can register for free* with our amazing Black Friday/Cyber Monday offer. Whether you are heading off on a bike ride or want to run a half marathon, you will find a challenge event to suit you - and you'll be raising vital funds for cats too! Visit www.cats.org.uk/blkfricybmon to take a look at our events for 2019 and sign up for a challenge to get your adrenaline pumping. *Free registration is only valid for registration forms completed between 9am Friday 23 November and 9am Wednesday 28 November only. As all our events help raise vital funds to support the work of Cats Protection a minimum sponsorship pledge for each event does apply. You will receive full support with your fundraising.